2805 Burton Dr, Cambria, CA is a single family home that contains 2,230 sq ft and was built in 1987. It contains 3 bedrooms and 3 bathrooms. This home last sold for $585,000 in November 2017. Santa Rosa Creek at its Boutique Best! 3 miles out from Cambria this One-Level ranch house PLUS a two story Barn that has a two bay garage, an upper Guest studio and an artist space at ground level all say "Come Live the Country Life" - On 2+/- acres and surrounded by larger parcels, this property had a classy & artistic update back in 2008 that is celebrated still. Peaceful, sunny, quiet Leimert Estates offers a 1.05 pie-shaped acre with a contemporary custom built home. The spacious 3 Br, 3. This Cambria cottage is in a desirable setting, tucked in among the oaks, with tree views out every window. This home has a gentle grade to the front door, once you have entered, it is single level living, yet with tree top views. The hardwood floors of tiger wood are simply stunning, and they run throughout the entire home, except for the bathrooms which have tile floors. Beautifully restored single level 2 bedroom, 2 bathroom home with garage in the Sierra Bonita Village, age 55+ senior community in Paso Robles. Very clean and charming with new Milgard windows and sliding patio door, new paint, new floor covering, new mini blinds, new stainless GE range. Enjoy the private, sunny, peaceful backyard patio and easy care yard. This custom Leimert Estates residence has been lovingly maintained and is being offered for sale for the first time by its original owner. Featuring ocean views in a coveted location, this 3-level home extends gracious coastal living in Cambria's most prestigious neighborhood. Features include 3 bedrooms and 2.5 bathrooms, as well as a sunny solarium breakfast room. Live in one and rent out the other in this third of an acre with 2 dwellings and street to street parcel. The main house built in 2000 is beautifully designed with an open concept living area with panoramic ocean views. Main house has 4 bedrooms and 3.5 bath and 2,247 sqft. The cottage has 2 bedrooms and a full bathroom and is 720 sqft. Inspired, Elegant, Perfection! A grand custom crafted Leimert home built on a private forested acre parcel, completed in 2001. North/south placement for soft serene interior lighting. Forested views from all windows. California’s coastal color palette flows throughout. Built with the finest materials—quarter sawn oak floors, Pella windows with phantom screens, top line hardware and fixtures. Artistry in the detail. Beauty in the design. Gracious living in Cambria! Enter to a beautifully crafted custom built home with cathedral ceiling, wrought iron, faux finished walls, hardwood wide plank flooring, a dramatic fireplace, alder woodwork and doors and designer glass lighting throughout. Charming Cambria beach house with forest tree top views! 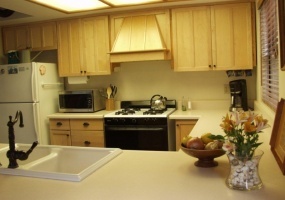 Located on a peaceful cul-de-sac within Cambria's Burton Circle canyon, where wildlife abounds. Features include beautiful dark wood floors, stone/gas fireplace in living room, vaulted ceiling with fans, deck off the master bedroom, spacious brick patio and lush gardens. Large side yard allows for future expansion. Charming single level home located on a large premium lot with privacy in Quail Run Senior Estates. Curb appeal and a great floor plan! Vaulted, beamed ceilings. All appliances included, dishwasher is new. Two covered patios. Two car garage. Tool shed. Enjoy the Quail Run pool, spa, club house and tennis. There is a wait list for RV parking. Chalet sells homes. With our extensive experience in the Central Coast real estate market; after years of working with buyers and sellers, we know what it takes to get a sold sign in front of your home. Charming single level home located on a large premium lot with privacy in Quail Run Senior Estates. Curb appeal and a great floor plan! Vaulted beamed ceilings. All appliances included, dishwasher is new. Two covered patios. two car garage. Tool she. Enjoy the Quail Run pool, spa, club house and tennis. There is a wait list for RV parking. Call us to take a look. Priced reduced! Cozy Cambria get-away with views of the west village, the ocean and the pines. Short walk to the ocean. Two bedrooms and two full baths. Warm cedar walls and ceilings. Wood burning fireplace in living room. Master bedroom has a high ceiling and walk-in closet. The second bedroom with Murphy bed can double as an office/study. Two decks and an over sized one car garage. toweled walls, new heating system and nice lighting. The original wood floors have been refinished. Tile floors in kitchen, bath and guest suite. Original rock fireplace in the livingroom. Mature landscaping adds privacy. Open floor plan for the main living area featuring a brick fireplace in the living room, parquet wood floor in kitchen and dining and a half bath. French doors take you out to the back yard and patio. Upstairs there are three bedrooms,one full bath and laundry. Large deck off living room and small deck from master bedroom. Tree top and mountain views from this Lodge Hill location. Above the summer haze. Sunny top of the world location. Ocean,forest and great sunset views. Open space around gives privacy. Main living/dining with half bath and attached garage- downstains. Three bedrooms and two full baths- upstairs. Large deck out back with fenced yard. This home was built in 1997 with a white/neutral decor. 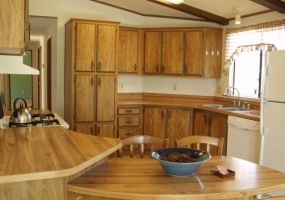 Oak cabinets and tile counters in kitchen. Add another window in the master bedroom to take in more views! Charming hillside home in Cambria’s West Village with curb appeal and a wonderful living space. Views of the West Village and the Pines. Hardwood floors in living room, dining room and kitchen. All stainless kitchen appliances included. Corian counter top. New interior paint and carpet. Brick fireplace in living room. Open floor plan. Three roomy bedrooms and two full baths. Very large wooded lot on the right with no water position and open wooded hillside bring nature to your door. Bank Owned. Call for a viewing. Short sale opportunity! Dreamy location in Cambria’s Pine Knolls Estates. Classic modern design. Delightful forest views. Spacious 4 bedroom, 3 bath home on 1/3 acre backing to the forest. Approximate 2850 square feet of living space plus a two car garage with workshop. Features include two fireplaces, skylights, remodeled kitchen, large sunroom with balcony, a charming gazebo. Main living space with 2 bedrooms and 2 baths at walk-in level for single level living option. Extra 2 bedrooms with bath, sunroom and laundry on lower level are perfect for guest quarters. Peace, quiet. Nature at your door step! First time on the market. Spacious custom built home on quiet cul de sac. You enter to vaulted ceilings with large skylights. Living room features a beautiful river rock fireplace with gas burning insert that can efficiently heat the house. Extensive woodwork thoughout. Open floor plan leads into the kitchen with views to a beautiful garden patio. All kitchen appliances are included. Powder room off living area. Master bedroom and bath are on the first floor with French doors to the garden patio (for single level living option). Upstairs you will find two bedrooms with deck, full bath with stylish stone and tile work and a studio with river rock fireplace, large wet bar/cabinetry and deck. Vaulted ceilings thoughout the upstairs. Fully insulated two car garage. Wooded, treetop views. Wildlife abounds. Beauty in Cambria. Reduced price!! 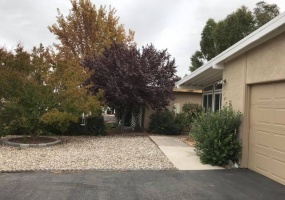 Spacious 2300 sq ft single level home at the top of desirable Pine Knolls Estates with three bedrooms, two baths and an additional one bedroom apartment/guest quarters with remodeled kitchenette and bathroom and private entrance. 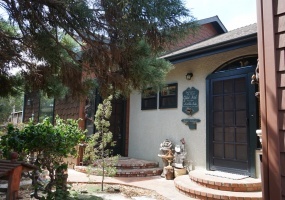 This level property features beautiful gardens, a pond, back patio and tea house/studio for entertaining and two single car garages. 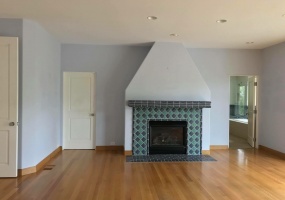 Circular floor plan with new carpeting throughout, new interior paint, skylights, fireplace. Approximate 8160 sq ft lot. 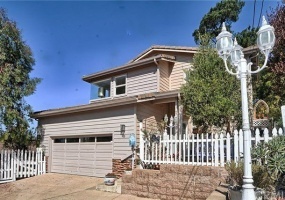 Wonderful warm, sunny neighborhood within minutes of downtown/shopping and Moonstone beach. A peaceful location next to the forest. This spacious redwood home has good bones and ocean views. A fixer. It is time for new paint, new carpet, deep cleaning and polishing and some repairs. Sold in as is condion. This is a short sale. The home features a nice design with open vaulted beam ceilings, 3 bedrooms plus an ocean view loft/studio, marble fireplace and entry floor, maple cabinets, tile kitchen and baths, larges decks. Lots of potential. Wonderful westside Los Angeles bugalow along Ballona Creek and bike path to the ocean and marina. This beautifully designed home features wood, slate and marble floors, skylights, stainless appliances and granite counter tops in kitchen,JACUZZI(R)whirlpool in master bath and waterfall CAL SPA(R) on back deck, woodburning Swedish fireplace and manicured landscaping. Wonderful street to street fenced half acre property with well maintained two story two bedroom home, licensed as a vacation rental. Very private. Lots of potential to expand and remodel. Artistry is revealed in the carved wood detailing of this charming lodge hill home, carrying on an artistic tradition reminiscent of Warren Leopold. Enjoy the wooded views from this Burton Circle location while you soothe your soul in the hot tub under the redwoods. This home features antiqued kitchen cabinets and a granite counter top, wood work from floor to ceiling, skylights, a wood burning fireplace and large decks. Original building plans included. All this says “Classic Cambria”! Stylish 3 bedroom 2 1/2 bath home over looking the east west ranch. Beautiful views of the forest. Walk the ranch trail to the ocean, just steps from your front door. French doors lead to 3 balconies, the office has a seperate entrance, fenced yard with lovely garden, corner lot, well maintained home. A perfect choice for the serene Cambria lifestyle. Passive solar design plus solar assisted heating and hot water systems and energy efficient lighting make this the intelligent choice for a sustainable future. Wonderful ocean views, only two blocks from the ocean. Open floor plan covered by a large cathedral ceiling with skylight. 3 bedrooms, 2 baths and spacious loft. Lower level could be used as private guest quarters. Large 8200 square foot lot on the Marine Terrace. Live the serene Cambria life on three stories. Up top the skylit loft with coastline views. Second story is ocean view living room and kitchen with cathedral ceiling, dining room and sun room, master suite and two sunny decks. First floor is a separate living quarters with three bedrooms, two baths,livingroom with kitchenette and patio with beautiful landscaping and fenced yard. And solar panels for energy efficiency! Wonderful panoramic coastline views from this stylish Cambria home with modern architectual details. This home features many skylights, cathedral ceilings, an open floor plan for the main living area and an atrium with zen garden. Enjoy grand sunsets from this “top of the world” location. Spacious home on a large corner five lot parcel with beautiful private gardens and a grand cathedral ceiling. 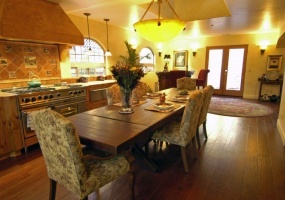 Australian cypress wood floors,custom tile and woodwork reign throughout. This home features an open living space with two bedrooms and an Ocean view loft/office/den plus a large bonus room above the garage to finish. A pleasure to live in and perfect for gracious entertaining! This stylish solidly built home embraces you with the warmth of hardwood oak floors and vaulted wood ceilings. It features an authentic used brick wood burning fireplace and built-in cabinets. The main living area is an open floor plan perfect for entertaining and is sun lit with many windows. French doors lead out to large decks. The 7000 sq. ft. wooded and landscaped street to street lot allows for expansion. Call for an appointment to view this charming Cambria home. Street: 2430 South Windsor Blvd. This classic panoramic ocean view beach house is one short block from the ocean and just steps from the beach access. If you are looking for ocean influence this home is for you. The large living room with floor to ceiling windows and large wrap around deck give you great ocean and sunset views! The large windows also provide passive solar heat for this home. Two bedrooms and two full baths plus a studio/den and a single car garage. The kitchen has a large skylight and living room a beautiful field stone fireplace. Enjoy panoramic hilltop views and privacy from this spacious single level home, situated on 8.3 acres bordering Cambria’s Pine Knolls Estates. Mountain, ocean and forest views. This home features picture windows and a wrap around deck which enhance the vistas! Warm cedar wood walls and ceilings and a stately stone fireplace. New stainless Whirlpool appliances compliment the kitchen. 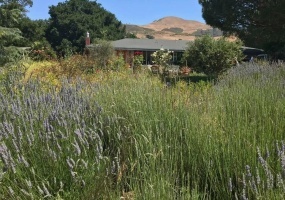 This unique property includes a green house, extra garage and sheds, fruit trees, oak studded hillsides and an array of Cambria’s wildlife. The acreage is perfect for keeping a few horses. We invite you to take a look! Elevated just above Moonstone Beach with open space out front creates unobstructed panoramic whitewater ocean views from living room, dining room, kitchen and bedrooms. High style with granite counters, artful tile work, hardwood floors, custom cabinetry and book shelves, two fireplaces, Pella windows, high end appliances, whirlpool bath, fenced yard with stone terrace and much more. Built in 2006. Licensed as a vacation rental. This home is pure pleasure to experience! Reduced Price. Great opportunity! Busy Hwy 41 frontage in Atascadero. Good exposure for Commercial space in front with two residential units in back on an extra large lot. Ample parking. Monthly income from the residential units is $1050. The property is zoned Commercial Professional. Large trees provide shade and beauty. Wonderful opportunity to purchase a commercial building with two units and large yard space. Zoned CM, commercial/manufacturing. 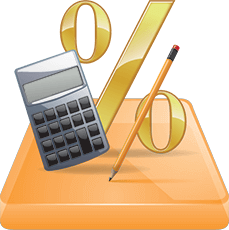 Use one unit for your business and keep the second unit rented. Currently both units are rented for a total of $1725 per month. Three parking spaces in the front of building with added parking along driveway and in back yard. Large concrete block building with two small offices, two toilets, two sinks. Back unit is a new metal building. The drama of the Big Sur coast. 20 acres of natural beauty and wonderful aroma therapy. Ocean view and large trees for shade. Call us for more details and for directions to the property. Wonderful coastline ocean and sunset views make this property a great building opportunity. Located on the south coast of Big Sur. Ready to build now with 5000 gallon water tank in place. Call for details. The perfect opportunity and potential for a gentleman’s ranch or farming. This ranch land is known for the high quality citrus and avocado growing. It has 12 acres of flat bottom land. Excellent well area and superb panoramic views; even a distant ocean view. Charming, custom built with panoramic views one bedroom apartment for rent. All utilities and cable tv/internet included in price. Beautiful cabinets and wood work, wood floors, high ceilings, all new appliances, laundry use in garage. Call us for an application at 805-927-3887. Great views from this 2 bedroom, 1 1/2 bath rental home. 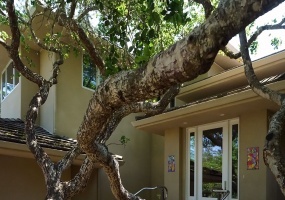 Very close to the forested Fiscalini Ranch with walking paths to the ocean. Two fireplaces, one in the living room and one in the master bedroom. The living room has a hardwood floor. Plantation shutters in living room and master bedroom. New appliances in the kitchen. Will accept a dog. Call for an application. Charming cape cod style home for rent at $1600/month. Wonderful location. Delightful views. Features include: oak floors in kitchen,dining and powder room, fireplace in living room, skylights, 3 decks, vaulted ceiling and his and her walk-in closets in the master bedroom and more. See wild turkey and deer. Nature at your door step. As home buying became more common (and more complicated), real-estate agents helped sellers find buyers for their homes. The National Association of Real Estate Boards adopted the term Realtor in 1916. As the housing market boomed during the 1940s and 1950s, so did the real-estate profession. By 1950, for the first time in American history, more than half of all Americans owned their homes. As demand for housing increased, so did prices.